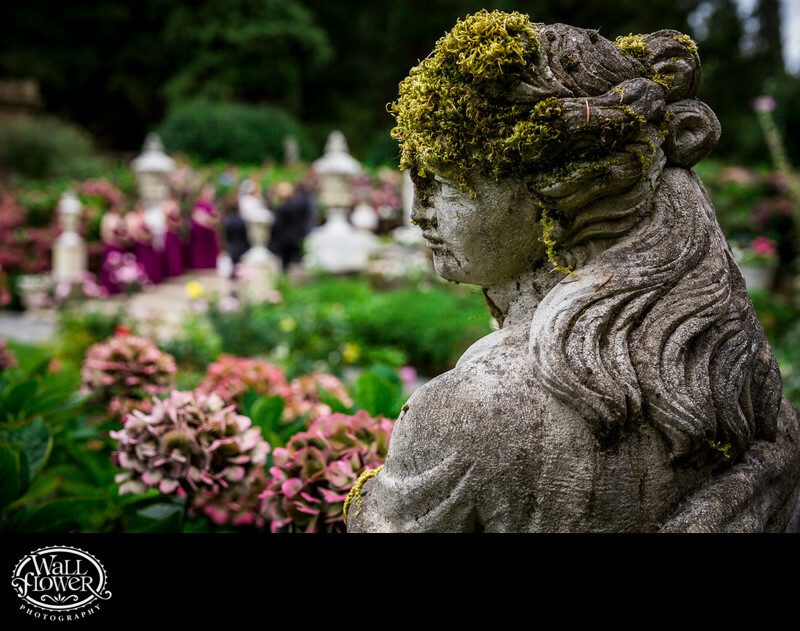 Thornewood Castle has so many statues in the sunken garden to utilize in my wedding photography. This is one angle that I often return to, and I was rather tickled to discover that, as summer had faded to fall, she had grown a wig of moss. I captured two versions of this photo, this one focused on the statue and throwing the wedding ceremony into a far-off blur, and the other one with the ceremony in focus and the statue not. You can find that photo in the Candid gallery.